The decision to give up a family pet can be incredibly difficult. Whenever possible, Pomeranian and Small Breed Rescue does accept and care for dogs that have been surrendered by their owners to our organization. If you have found a dog that you are not able to care for or a change of circumstances has necessitated that you make the decision to surrender your dog please message us privately on our Facebook page Here. Please fill out the application form as fully and completely as possible. It is important that we have as much information as possible about the dog to determine whether we are able to provide a suitable foster home. In addition to the Owner Surrender & Release Form we request that you provide all available medical records for the dog. This information is vital in helping us to determine the medical requirements of the dog. All of the dogs in our care are spayed/neutered and brought up to date on vaccinations prior to being adopted into their forever home. 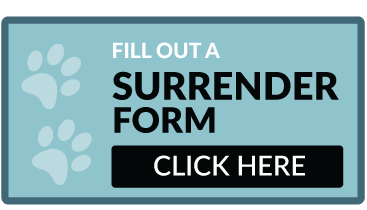 Please click here to complete our Owner Surrender & Release Application Form to apply to surrender a dog. Please note that while we aim to help as many dogs as possible our ability to admit dogs into our foster care program is dependent on space constraints and the individual requirements of each dog. Once you have completed our Owner Surrender & Release Application Form a volunteer will contact you to discuss your dog’s needs and our ability to provide a suitable foster home. While a shelter is not an ideal environment for any pet it can be particularly stressful for small dogs who are accustomed to living as part of a family. All of our dogs stay in foster homes where they have the run of the house and live as though they are a permanent part of the family that they are staying with. The dog will never have to spend a night in a kennel, be in danger of being prematurely euthanized, used in medical research, placed in a cage in a puppy mill, or mistreated in any way. We carefully screen each adoption applicant and perform a home evaluation to ensure that every dog we place will live in a safe and caring home that is suitable to their individual needs. Fill out an application and a PSBR volunteer will be in touch with you. Questions or concerns? Please email us here and we will help you.